The laboratory is open Monday to Friday, 7am until 4pm all year round as well as extended hours during the harvest period. Our price list is very competitive and we can accommodate both single and large quantities of samples. Our independent laboratory carries out daily Internal Quality Checks to ensure precise calibration of the analysing equipment. 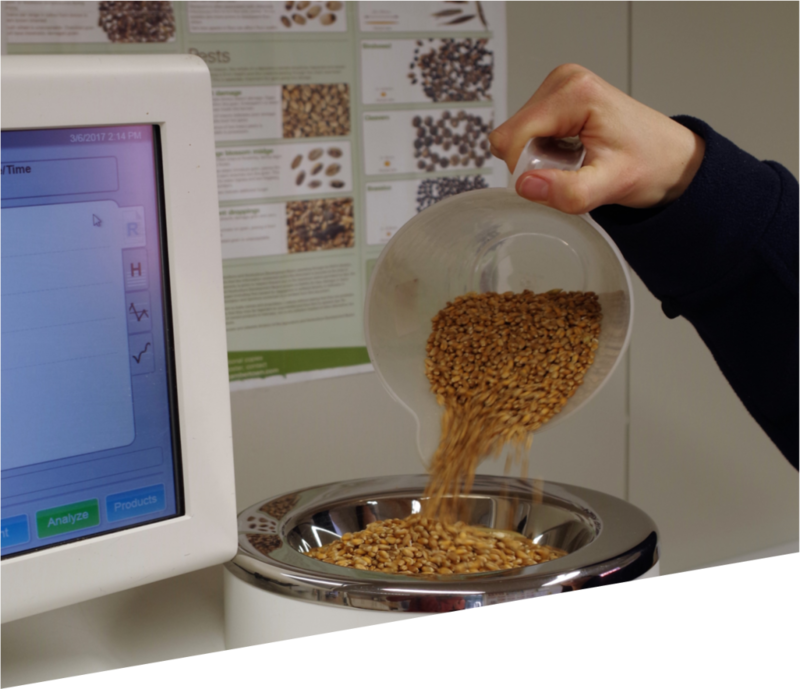 Monthly testing of our machines is carried out using ring check samples by the UK NIR Grain Network, which currently has over 200 members. This allows us to check our machines against results of laboratories across the British Isles. We are a member of the TASCC Trade Assurance Scheme. This scheme encompasses companies who deal in the food and feed trade and will offer an overall independent assurance for all those in the supply chain. If you have questions regarding any item listed here or relating to our laboratory services, please do not hesitate to get in touch with us. A family run agri-business partnership with farming of arable land in Cambridgeshire, Huntingdonshire, Bedfordshire & Norfolk and including storage with grain drying, laboratory and Haulage. Copyright © 2018 G.W. Topham & Son. All Rights Reserved.